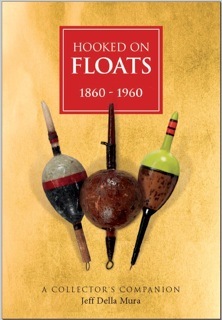 The highlight of the forthcoming National Vintage Tackle Fair in Redditch on Sunday 18th November will be the launch of a new book, ‘Hooked on Floats’, chronicling one man’s obsession with the history of float making from 1860 to 1960. Author Jeff Della Mura has spent more of his life than he would probably care to admit to collecting floats of all shapes, makes and sizes – gradually building a picture of how the various materials, shapes and patterns developed over time. As well as dealing with the more popular patterns of floats, the book goes into depth on some of the lesser known and sometimes rarely ever seen variations, such as the Anydepth, Dirigible, Slipstream, Streamsearch and the Kelby Windcheater. The Fair will be the first opportunity to purchase ‘Hooked On Floats: A Collector’s Companion’ a book sprinkled with wit and illustrated beautifully throughout the 400 pages with colour photographs. The author will be on hand to sign copies. Fair organiser John Andrews commented: “It’s a book touched by genius really, a complete work of mad enthusiasm and a window into the mind of a man with a passion. 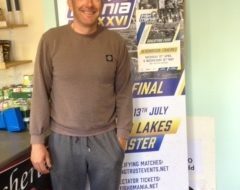 As ever visitors can get any vintage or antique tackle they bring in valued by Neil Freeman of Angling Auctions, and the fair always throws up some welcome surprises. There are over 40 dealers with stands attending with coarse, carp, sea and game anglers all catered for. 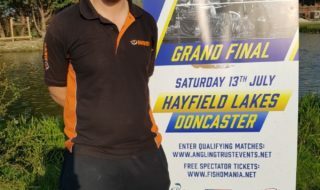 Amongst the dealers present will also be stalls offering repairs and restoration including Garry Mills of The Mill Tackle Company who will be there with his stall offering advice and repairs on centrepin reels, float builder and rod maker Paul Cook of the Art of Angling and Andrew Davis a much talked about split cane rod builder from Long Eaton in Nottinghamshire. 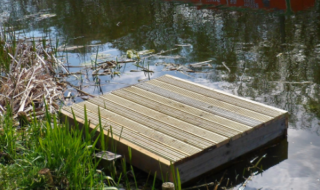 Visitors are also welcome to bring tackle they can carry to sell to the dealers present. It all takes place at the Kingsley Sports Centre on Woodrow, Redditch, B98 7UH on Sunday 18th November. Parking is free, entry is just £2 with doors opening at 9am and usually winding down around 1pm. There will be a tea van outside and you are guaranteed a warm welcome. All advance enquiries can be made by calling John on 07980 274 383.